After architectural peculiarities were noted in the tomb of King Tutankhamun, an infra-red scan suggests that a hidden chamber indeed lies behind a decorated wall. Discovery reports that Cairo University’s Faculty of Engineering and the Paris-based organization Heritage, Innovation and Preservation used infrared thermography to peek through the stone. "The preliminary analysis indicates the presence of an area different in its temperature than the other parts of the northern wall," announced Egypt's antiquities minister. The difference in temperature might mean there's an open space behind that section of wall, according to Discovery. Mamdouh Eldamaty, Egypt’s Antiquities minister, said that more experiments will now take place to confirm the result. 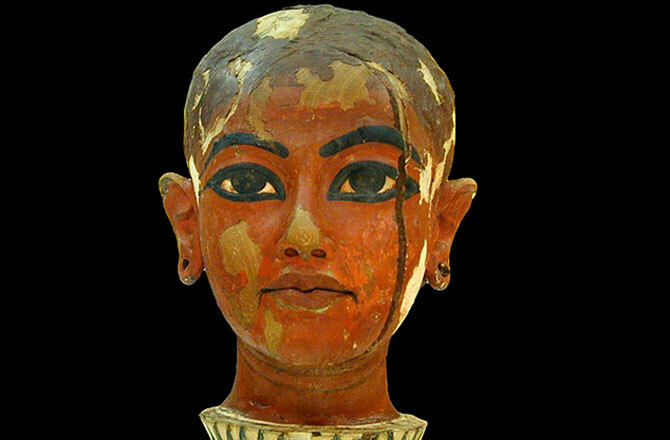 Evidence has been found of "two hidden chambers" behind the painted walls of King Tutankhamun's resting place, say experts—and one of them could be the tomb of Queen Nefertiti. Egypt's antiquities minister, Mamdouh Eldamaty, told Ahram Online that he and British archaologist Nicholas Reeves have found that the tomb's ceiling extends behind the northern and western walls. Radar scans are being made to confirm whether there are indeed voids behind the walls indicative of hidden chambers, and results are expected to be announced on November 4. In August Reeves published a paper suggesting the western and northern painted walls of Tutankhamun's tomb have secret passageways leading to two chambers, one of them containing the remains of Nefertiti — queen of Egypt and the chief consort and wife of the monotheistic King Akhenaten, Tutankhamun's father. 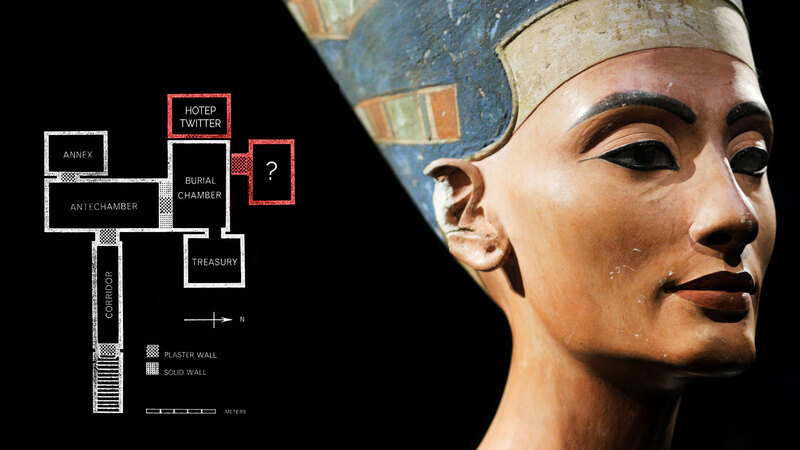 … Eldamaty told Ahram Online he now thinks it very likely there are hidden chambers, but disagrees with Reeves when he says they could house the crypt of queen Nefertiti. Before reading this article about the Sphinx, I knew just three things about it: It was large, it was old, and it was in Egypt. 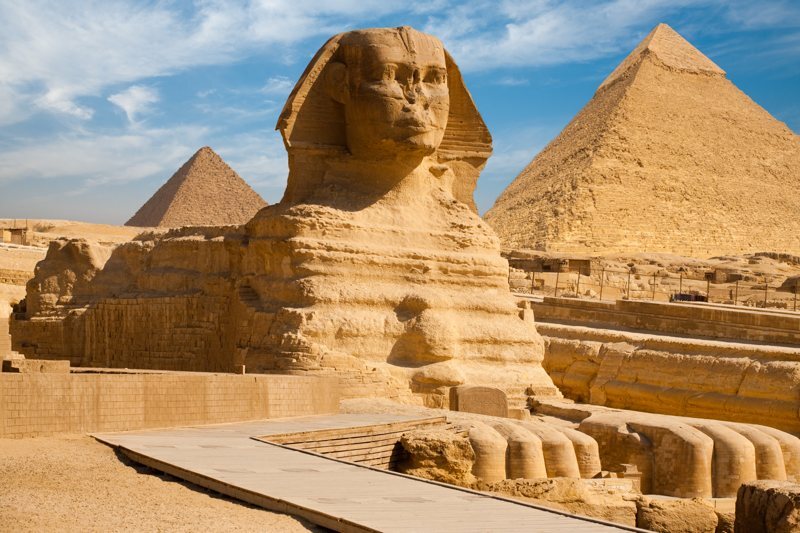 Last night I read "Uncovering Secrets of the Sphinx," by Evan Hadingham on Smithsonian.com, and learned a lot about the Sphinx. I love articles like this that fill one of the many holes in my knowledge about all the great things in the world. Nobody knows its original name. Sphinx is the human-headed lion in ancient Greek mythology; the term likely came into use some 2,000 years after the statue was built. There are hundreds of tombs at Giza with hieroglyphic inscriptions dating back some 4,500 years, but not one mentions the statue. “The Egyptians didn’t write history,” says James Allen, an Egyptologist at Brown University, “so we have no solid evidence for what its builders thought the Sphinx was....Certainly something divine, presumably the image of a king, but beyond that is anyone’s guess.” Likewise, the statue’s symbolism is unclear, though inscriptions from the era refer to Ruti, a double lion god that sat at the entrance to the underworld and guarded the horizon where the sun rose and set. The face, though better preserved than most of the statue, has been battered by centuries of weathering and vandalism. In 1402, an Arab historian reported that a Sufi zealot had disfigured it “to remedy some religious errors.” Yet there are clues to what the face looked like in its prime. Ancient Egyptians: They're just like us!